In the FY 2012-13, Company has successfully commissioned Capacity Enhancement & Energy Savings projects along with installation of Carbon Dioxide Recovery plant at its Vijaipur – I & Vijaipur – II units. These projects involved investment of about ` 650 crore. The total annual Urea capacity of the company after completion of these revamps of Vijaipur-I & II has been increased by 3.37 LMT to 35.68 LMT. In addition to the augmentation of installed Urea capacity, Company has also achieved reduction in specific energy consumption per MT of Urea produced. Company has implemented the following capital schemes for feedstock conversion from Fuel Oil to Natural gas at Panipat, Bathinda & Nangal involving a total investment of ` 4066 Crore. These feedstock conversion projects involve change over of feedstock from FO/LSHS to environment friendly energy resource i.e. NG/RLNG. These projects shall not only result in better environment but also result in savings on account of subsidy payoffs by GOI. Panipat, Bathinda & Nangal plants are presently operating on Spot Gas in absence of domestic natural gas which is yet to be allocated by GoI. Post Feedstock Changeover, all the three plants at Panipat, Bathinda & Nangal are operating at more than 100% daily rated capacity within the design daily energy. NFL in joint venture with M/s Engineers India Limited (EIL) & Fertilizers Corporation of India Limited (FCIL) is undertaking the revival of Ramagundam unit of FCIL. 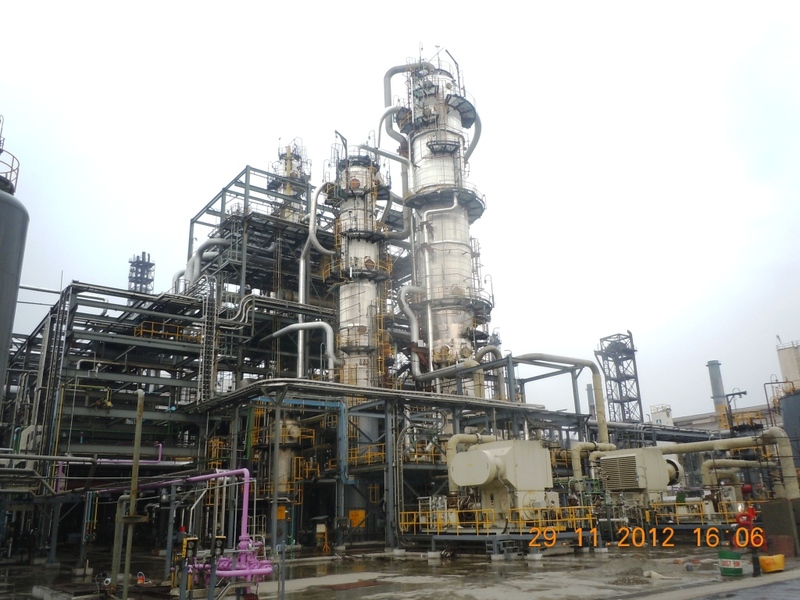 The revival project is conceived with setting up of 2200 MTPD Ammonia plant and 3850 MTPD Urea plant at the existing Fertilizer complex of Ramagundam unit of FCIL. The equity participation in the joint venture is 26% each by NFL & EIL, 11% by FCIL and 11% by State Government of Telangana. Project is being implemented through EPCM mode and M/s EIL is the EPCM Contractor for the project. Zero date of the revival project was declared as 25th Sept 2015 and is targeted to be completed by end of December 2018. The project is in progress. NFL is also providing Manpower Management Consultancy (MMC) services to RFCL. As per agreement, NFL is undertaking recruitment and training of all such personnel mutually agreed by RFCL and NFL. In addition to fresh recruitment NFL is also providing experienced manpower on secondment basis to RFCL. Bentonite Sulphur is a sulphur fertilizer that can be used as a source of plant nutrient and / or as a soil amendment for correction of problem of alkali soils. In order to meet the demand of Bentonite Sulphur to address the issue of Sulphur deficiency in soil and to improve the top & bottom line, NFL has set up Bentonite Sulphur plant at Panipat Unit with capacity of 25,000 MT per annum. Foundation stone of the project was unveiled by Hon’ble Cabinet Minister (C&F) on 8th September 2016. Bentonite Sulphur Plant at Panipat Unit has been commissioned on 20th December 2017. NFL is in the process of establishing Di-Nitrogen Tetroxide (N2O4) Production Plant (NPP) for Indian Space Research Organization (ISRO) on Build, Own, Operate & Supply (BOOS) model. ISRO utilizes N2O4 as Oxidizer in specific stages of Rocket Launch Vehicles (RLV) and also for ground testing of Specific Engines and Stages of Launch Vehicles. The N2O4 plant of Capacity 1095 MT per year shall be established at NFL Vijaipur, Guna, Madhya Pradesh to supply the product to ISRO. The Product (N2O4) shall be exclusively supplied to ISRO under long term agreement for 25 years period. Estimated Capex requirement shall be around Rs. 350 Crore. The technology is supplied by Russian Company under strategic tie up between the Govt. of Russia and Govt. of India. Memorandum of Understanding (MoU) has been signed between NFL & ISRO on 4th May 2017. Discussions are underway between ISRO, NFL and Russian Technology Provider to sign Tri-Partite Agreement. As per New Urea Policy-2015, NFL Panipat, Bathinda & Nangal Units have been placed under Group –III for which the target energy norms for the year 2018-19 would be 6.5 Gcal/MT of Urea. However vide letter no: 12012/1/2015-FPP dated 28th Mar' 2018, GoI has extended the energy norms for the units for a further period of two years i.e., till 31st Mar’ 2020. 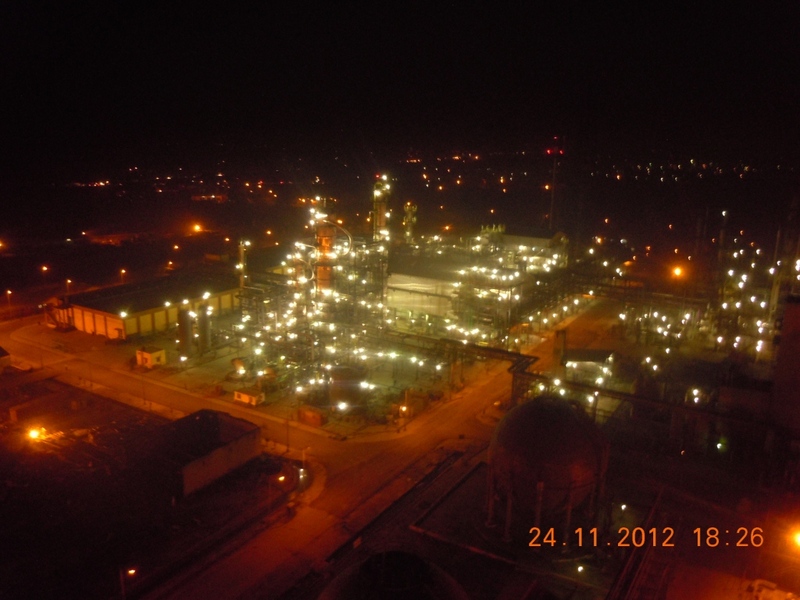 In view of the above, NFL intends to further reduce the specific energy consumption of Ammonia / Urea plants at Panipat, Bathinda & Nangal Units by installing 1 (one) unit of Gas Turbo Generator (GTG) of 20 MW capacity along-with 1 (one) unit of Heat Recovery Steam Generator (HRSG) at each unit. The job has been awarded the subject works to M/s Thermax Limited, Pune on 01.02.2018. The scheduled completion of the projects is within 22 months i.e. 30.11.2019. The estimated capex of these projects shall be around INR 675 crores. Under New Urea Policy (NUP)-2015, Vijaipur-I & Vijaipur-II units have been placed under group-I with energy norm of 5.50 Gcal/MT. For reduction of energy at Vijaipur-I and Vijaipur-II, the estimated capital expenditure shall be around INR 234 crore. 1. Switch over of Process condensate stripping process from low pressure to MP Stripping Section in Ammonia Plant of Vijaipur-I. 2. 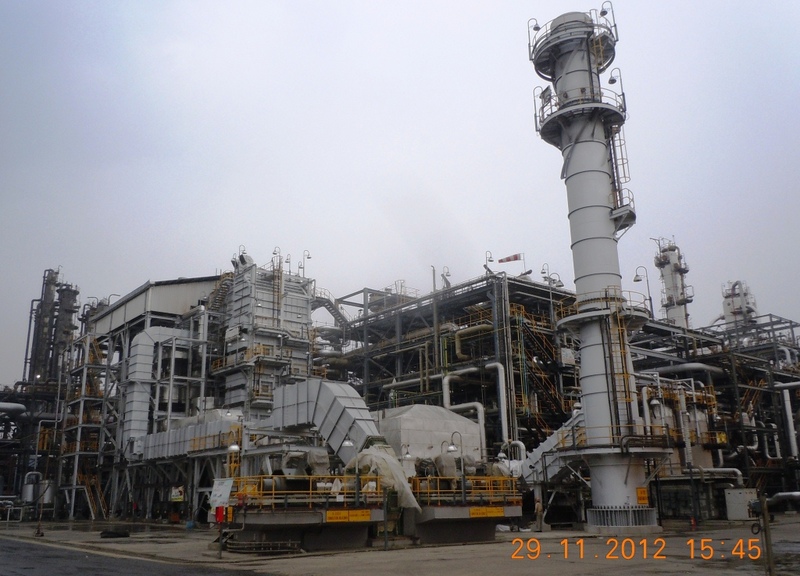 Revamp/retrofit of synthesis Gas Compressor and turbine in Ammonia Plant of Vijaipur-I. 3. Switch over of Condensing steam turbine drives to motor drives of GV solution and Cooling Tower pumps in Ammonia Plant of Vijaipur-II. 4. Installation of VAM for Gas Turbine in Captive Power Plant, to chill process air compressor suction air and 3rd stage suction of synthesis gas compressor to 15 deg C in Viajipur-II. The execution of above schemes are in progress and is expected to complete before Mar'2020. NFL has been constantly working on the energy reduction and production improvement front. 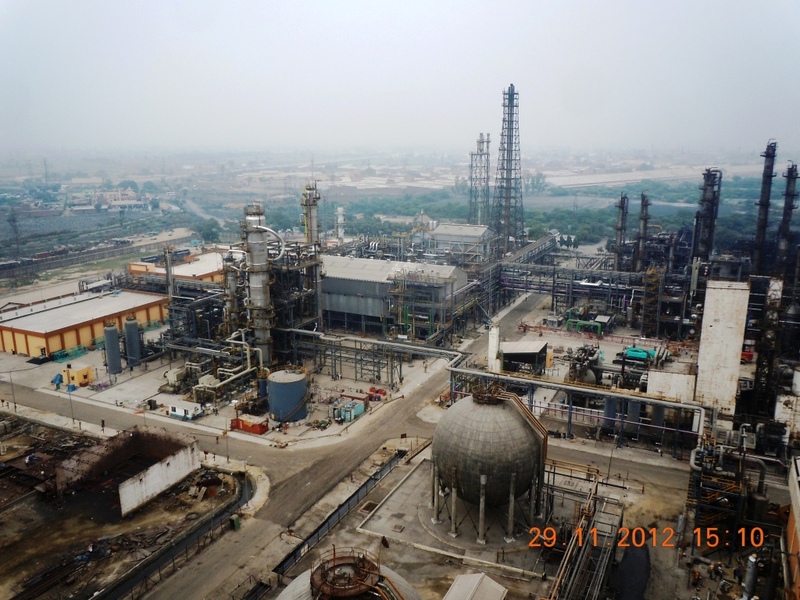 Accordingly, it is planned to set-up Purge Gas Recovery (PGR) unit at its Vijaipur _ II plant also as PGR is already set-up in Vijaipur – I.
PDIL has been awarded consultancy contract to select technology and line-up Purge Gas Recovery (PGR) contract on LSTK basis for Vijaipur – II plant. NFL envisages to set-up a 120 MT/Annum Heavy Water plant at its Vijaipur unit, for which initial feasibility is being worked-out with Heavy Water Board.